Your air conditioning unit has plenty of benefits. It cools down the temperature in your house. As it helps in giving your house a comfortable environment, you can get better sleep. To continue giving you this benefit, you need to properly maintain it with the help of American Cool and Heat pros. 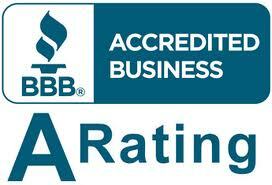 That way, you can avoid experiencing costly air conditioning repair in Long Beach and surrounding areas we serve. Just like your car, you need to maintain your AC system to make it last longer and avoid an expensive repair. Thus, tuning it up is vital.The best practice is to have your AC unit tuned up every year. If the last tune-up was a year ago, then you must schedule your appointment today.A yearly tune-up will help you avoid expensive repairs and prevent replacing your system sooner. Furthermore, a well-maintained AC unit maintains its efficiency. Thus, it will not affect your electricity bill. Our tune-up service is comprehensive. We do not sacrifice quality. Thus, you can be sure to receive a truly effective tune-up. Our technicians will perform the tune-up process for more than an hour. It takes a long time because our technicians will clean your unit thoroughly.We utilize a long checklist to ensure that we do not miss anything. In that way, your unit will be cleaned and inspected completely. Thus, we encourage you to have your unit checked today so it will remain in its peak condition. You also need to maintain your AC unit regularly to prevent any costly HVAC repairs. Many homeowners in Long Beach would call our office to complain about their HVAC not working properly. One of the reasons is that they missed cleaning their AC unit.If your AC is not properly maintained, it affects your HVAC. It requires regular cleaning. You will need to wipe down the vents and registers. Cleaning must include the thermostat, condenser unit and outside of the furnace. Cleaning it may be simple. But this easy task lowers the chances of HVAC repairs. It also prevents the central air system to break down sooner. Thus, it helps you avoid experiencing HVAC repairs.Your air-conditioning and heating systems require HVAC repairs if they experience wear down because of overuse. These repairs can come too early. But with proper maintenance, they could be avoided. Our air condition repair technicians typically perform HVAC repairs in Long Beach because of homeowners’ negligence and misuse. After performing scheduled maintenance, we encourage homeowners to do their part in cleaning the unit. It is also vital to reduce the workload on the central air system by insulating your entire home. In this way, it minimizes any heat loss. Your AC and heating units will work more efficiently. They will also work less in delivering an equal amount of comfort. Our technicians at American Cool and Heat will help you insulate your home. With proper insulation, you can avoid expensive air condition repair in Long Beach. To schedule an appointment, please call (818) 406-6000, (626) 387-3040, (323) 673-3107. You have heard the old Boy Scout motto of “Be Prepared” many times in your life. While you may take the idea with a grain of salt, there is a lot of truth behind the statement, especially when it comes to getting your home ready for the coming months. When you live in the Los Angeles area, there is never a wrong time to think about how the air conditioning in your home is working. You always want to be sure your system is at its best so that when you know you will need to use for days on end, it will be there for you. That is why being a proactive homeowner is a good thing for you, why being prepared and getting air condition repair in West Hollywood now can help save you from aggravation later on. Let’s face it – you know there are going to be times as summer gets closer where there will be many other homeowners in the same boat as you, having AC problems and trying to get a hold of repair service for help. Service companies can get stretched thin once the late spring months come along, and you may find that getting an appointment with anyone can leave you for days without any AC in your home at all, making you and your family cranky and uncomfortable. You can stay ahead of the rush and get potential problems taken care of now while the work may still be slow and services can get to you right away. Being prepared and calling for air condition repair in West Hollywood can save you from more expensive repair work later. Very often small problems that are caught just as they developed or started can get taken care of efficiently and without costing you a fortune. Issues that are allowed to carry on for weeks or months while your system stays in use can cause undue wear and tear on the system, leading to worse breakdowns that can cost you time, money, and aggravation. 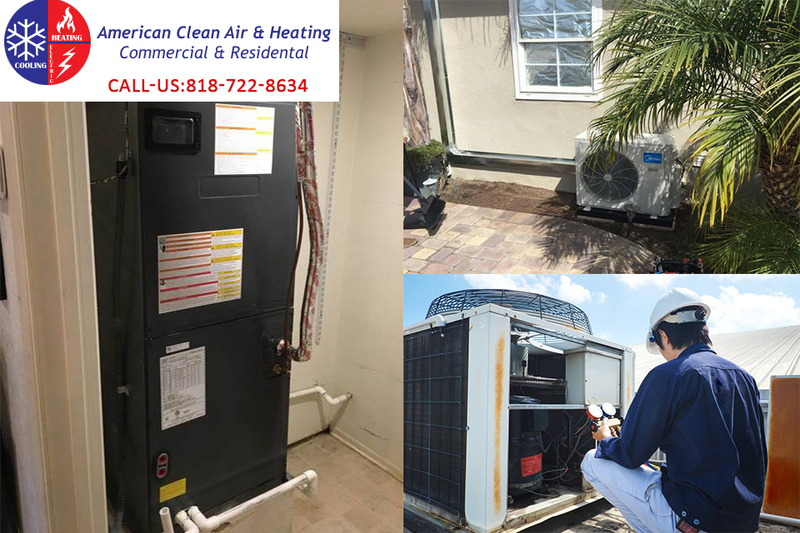 At American Clean Air and Heating, we can offer you the air condition repair in West Hollywood that you need so the job gets done well for you. 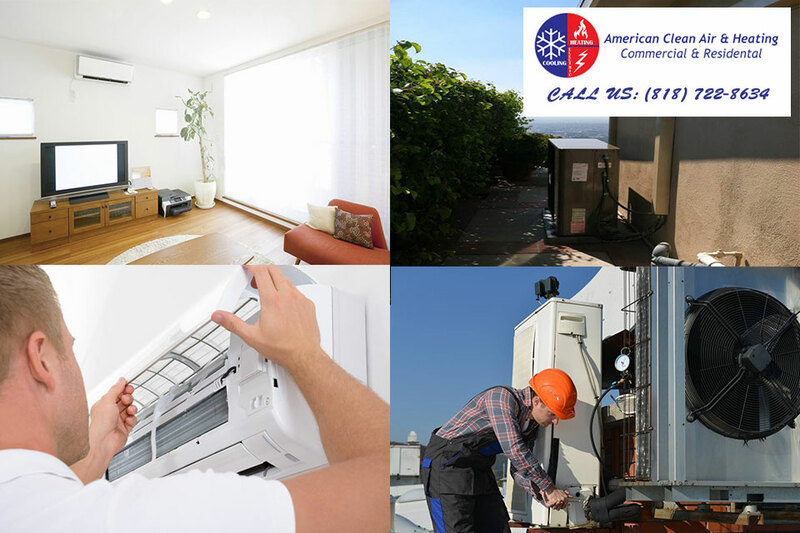 We are the leading AC repair company in the Los Angeles area and have helped thousands of customers over the years with repairs, maintenance, and installation of systems. Phone our office today so you can set up an appointment with us. You can reach us at 818-722-8634, and we will get to you as soon as we can to repair your system and keep your AC at its best. If you want to send us a message or you have questions that you would like to ask, please send us a message using our online contact form, and a member of our friendly staff will get back to you. Any time anything in your house goes wrong you feel stress and anxiety. From a leaky faucet to a faulty wall switch to an overflowing washing machine or refrigerator that conks out, all these appliance breakdowns mean trouble for you. You experience delays and frustration, and you must call a repair service for help, adding even more to your stress. You naturally worry about what it is all going to cost you in the end. When something goes wrong with your central air conditioning, your stress can go through the roof. A mechanical failure with the AC immediately brings big dollar signs to your eyes as you remember how much it cost to buy your system. There are things you can do to help alleviate your worries about the cost of air condition repair in San Gabriel, including choosing a quality repair service to work with. One way you can help ward off costly repairs is to make sure that your system is cleaned and maintained correctly. Regular maintenance is crucial to keeping your AC system working well. Maintenance helps to clean out any clogs, keep filters clean, make sure wiring and connections are correct, and prevents dirt and debris from blocking exhaust fans. Letting maintenance go is a sure way to find trouble since a system not cleaned well is going to create conditions where parts must work harder and will wear faster. What might have been an affordable expense with maintenance can quickly become one that carries a high price tag. You can help keep down the cost of air condition repair in San Gabriel by using a repair service you can count on and trust. Here at American Clean Air and Heating, we are a fully licensed and insured repair service that can assist you with any of your AC needs. Whether your repair job is large or small, if you need maintenance or cleaning, we can be there to assist you. Our trained and experienced technicians can work on all brands of systems, and we offer highly competitive rates and a free estimate for any work you need. 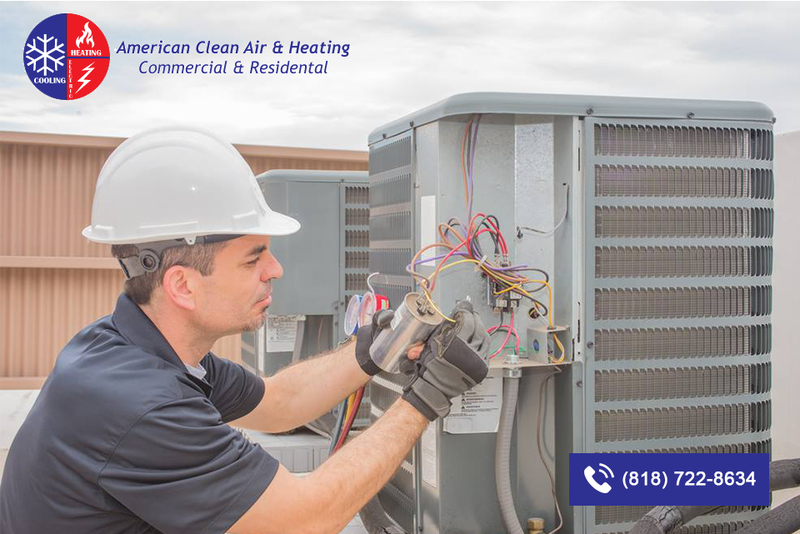 When you need quality affordable air condition repair in San Gabriel, do not hesitate to call us at American Clean Air and Heating. You can find out more about the services, repairs, and installations we can perform for you by visiting our website. If you need to schedule a service call, just phone us at 818-722-8634 and a member of our team will be glad to assist you. Alternatively, if you prefer to send us a message or would like us to send you more information or to answer any questions you may have, please use our online contact form and a member of our staff will get back to you. We will make sure we get your AC up and running again without overcharging you for the work. The really warm weather that hits Southern California each year is not far off now. Spring is very close, and behind that will be the summer months that can bring sweltering heat conditions that make being outdoors or stuck in traffic intolerable. At least you have your AC to look forward to once you get home to supply you with cool, comfortable atmosphere. Now is a good time to give your air conditioning a test run to make sure it is working well for the upcoming months. If you flip your system on and notice that something seems wrong, you need to know just what actions to take when you need AC repair in Glendale, CA so the problem can be addressed the right way. Testing your system before the hot weather comes is a good idea, but if you do notice something wrong with the system, whether it is cold air just trickling out, no cool air coming out at all, or harsh sounds coming from the system, the last thing you want to do is ignore the problem. Pretending that it will just go away on its own is far from the best approach and will only lead to more significant and more costly problems for you down the road. You want to see what the problem seems like to you so that you can have a professional service come in and take care of it for you now before it gets worse. The ideal time for you to get AC repair work in Glendale, CA done is as soon as you notice a problem. Calling a reliable and effective repair service like ours at American Clean Air and Heating can save you from having big headaches during the summer and ensure that your system is at its best. Our highly-trained, experienced, and courteous staff can come right to you, analyze the problems you are having, and offer up the best repair solutions for you so that you can get the work you need to be done quickly and affordably. 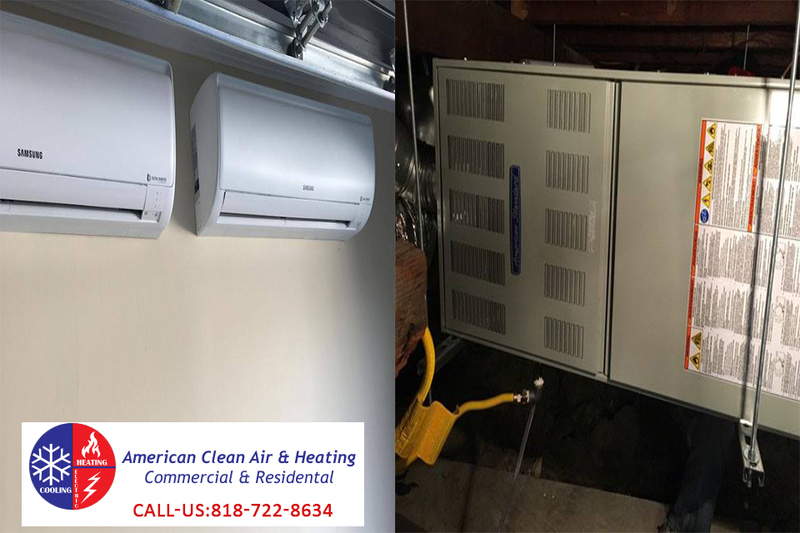 Whether you need AC repair in Glendale, CA or just want to have your system cleaned and maintained before the summer, contact us at American Clean Air and Heating so you can get the assistance you need. You can contact our office at 818-722-8634 and we will make an appointment for service so an expert team member can get to you at your convenience. Alternative, you can send us a message using our online contact form. It is very simple to use, just fill it with your details and your message so we can come back to you in no time. With the help of our professional team, you will have the functioning, comfortable air conditioning that will make your summer months better. Don’t delay it and get in touch now! Airflow issues are a common complaint of homeowners when they call air condition repair in San Fernando Valley. Some of them experience hot and cold areas throughout their house. It is an indication that the HVAC is facing airflow issues. Another issue is air pressure. One of the symptoms is you hear whistling noise. It is a sign of a poor airflow from your heating, air conditioning and ventilation system.And if there is no air coming out, make sure to call American Cool and Heat so we can look into your system and determine whether your air conditioning unit requires needs repair. Once you notice all of these signs, request an air condition repair service immediately. Keep in mind that ignoring those issues for a very long time can easily strain the entire system. As a result, it will lead to costly repairs in the future. Worse, you may need to purchase a new unit. Your air conditioning unit has a condensing system. It is typically placed outside your house. Unfortunately, the system could get obstructed easily because of the debris and leaves that could accumulate around the unit. Even if you place the condenser in a mechanical room, other storage items and equipment could obstruct it. It leads to overheating. If there is insufficient airflow to the AC unit, it could overheat causing major issues to the entire system. You could clean the area where the condensing unit is placed. Depending on your manufacturer’s recommendation, call our air condition repair unit to perform some maintenance procedure. Vents must be open. However, they could easily get blocked by your furniture. Some of your family members might not agree on the setting of your thermostat. As a result, they may move your cabinet and place it in front of your unit. If it happens, the airflow will surely be compromised. You do not need to call our air condition repair technician for this situation though. All you have to do is remove those items that are blocking your unit. Although you do not need our technician for this matter, you may call our support team to assist you in the proper place to install your air conditioner. For that reason, we recommend homeowners in San Fernando Valley to consult our team first before purchasing an AC unit. In this way, we can give you a proper recommendation on where to place the unit and the brand and model to purchase.Consulting your technician beforehand will help you prevent any issues later on. Our technicians can install the unit in the proper place and give you instructions on how to maintain it. Properly maintaining your unit will also prevent clogged filters. Our team of air conditioner specialists will replace your filter regularly.But you can also do your part by removing any dust and debris from the air. Doing so will prevent the filter from getting clogged, thereby, avoiding HVAC airflow blocked. If your AC unit requires repair though, you may call our air condition repair team in San Fernando Valley to schedule an appointment: (818) 406-6000, (626) 387-3040 or (323) 673-3107. The air conditioning system in your home is essential to you and your family, especially when you live in a place like Glendale. Air conditioning is a given and a part of life in Southern California throughout the year. So, having it fail on you or having it work improperly can cause disruption in your life. Even if the system is working but not at its best, you will find that it can be a problem for you. That is why it is essential to know a service you can call and trust when you need repairs done. Calling the right Glendale air conditioning repair service can help you improve your home in several ways, not the least of which is your overall comfort. Getting the necessary repairs done on your system will help to ensure that your AC is operating at maximum efficiency. When your air conditioning is not working correctly, it will not cool your house the way that you want, leaving you and your family feeling uncomfortable during hot days or nights. You may find that some regions of your home get cool while others do not, or that the air just trickles out from the vents when it should be better. Getting repair work done will help restore the efficiency of your system and keep it working the way it should for you. A central air system that has issues will undoubtedly cause you to have much higher energy and utility bills than you would ever expect. Contacting a Glendale air conditioning repair service like ours here at American Clean Air and Heating can help you get problems fixed quickly. Our repair work and regular maintenance of your system help to keep everything running at its best, allowing you to have lower energy bills that you want and expect. If you have noticed problems with your AC lately, pick up the phone and call the Glendale air conditioning repair service that can help you the most to help improve conditions in your home. 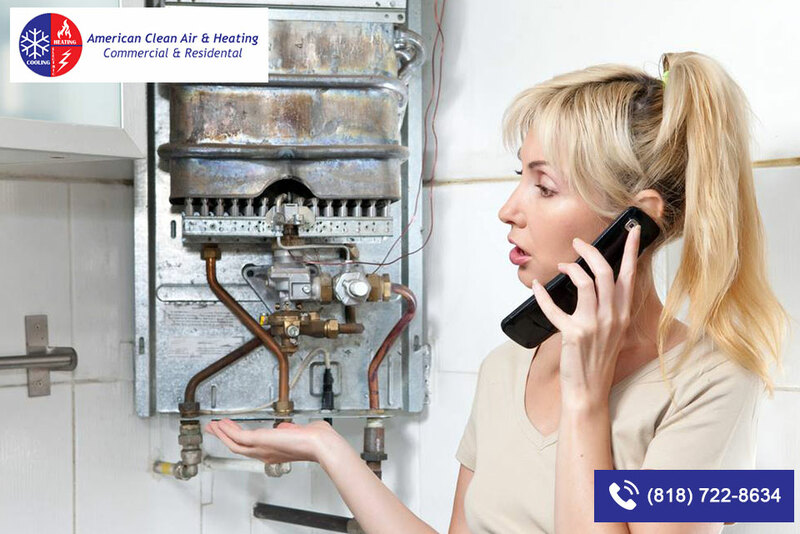 At American Clean Air and Heating, we are just a phone call away at 818-722-8634. You can call our office to schedule a service call. Then, we will have a technician out to you that can diagnose your AC system, locate the problems, and give you a proposed solution. That solution will include a free estimate for the work you need. Alternatively, if you need to make an enquiry or would like to send us a message, you can do it using our online contact form. Just fill the form with your personal details and your message so a member of our friendly staff can get back to you as soon as possible. With our help, you can have the AC system that helps make your home comfortable for you and your family all the time. The world around us changes quickly, and sometimes it can seem tough for you to keep up with all the advancements that are going on. Every time you purchase a new system or piece of equipment it seems like a few months later there is something new, more advanced, and more efficient on the market. While the chances can seem dizzying to you, what is just as important is that the people you can count on to do repair work for you keep up with what is new and different. What use is it to you to have the latest and best central air system if there is no one to maintain or repair it properly? Staying current in the air condition repair industry is crucial today, and here at American Clean Air and Heating, you can count us to know just the approach to take for your repair and maintenance needs. We understand how difficult it can be for you to find a repair service that can help you take care of that new system you have invested in. New technology that helps keep your home cooler with greater energy efficient use or allows you to work with your system remotely can be a significant investment for you, but you want to make sure you keep the system running well and free of problems. We take the time to learn all the latest systems from the top brands and manufacturers so that we know just what to do to help you keep your AC running well and without problems. If something ever does go wrong, we can be there for you to fix it without having to spend time figuring out what to do and how to do it. 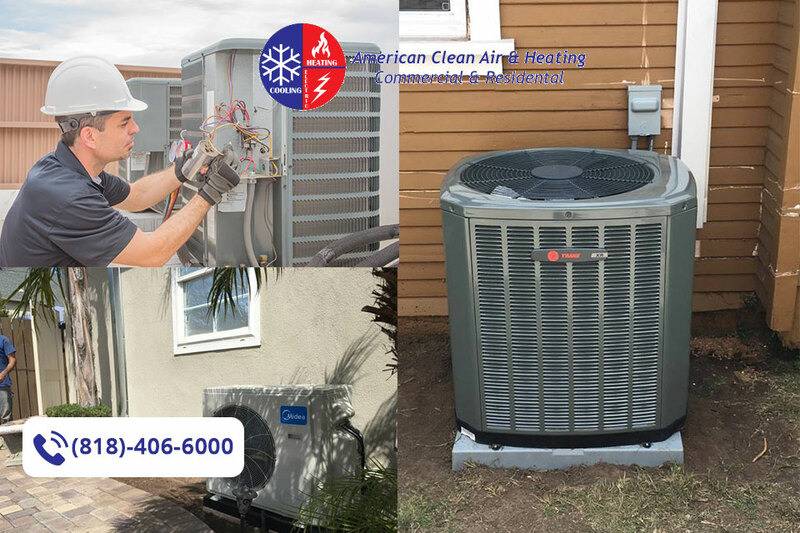 At American Clean Air and Heating, we are among the best you will find in the air condition repair industry in Southern California. We are fully licensed and insured, and our staff of technicians is highly trained and experienced so they can work with any HVAC system you may own. The expertise we offer allows us to analyze any problems and come up with solutions for the best approach for maintenance and repair work that you may need. If you want to have a service that knows what to do within the air condition repair industry today, call us here at American Clean Air and heating for help. You can contact our office through the form on our website. Just fill it with your details and your enquiry and a member of our staff will be happy to assist. Alternatively, you can phone us directly at 818-722-8634. We will get a technician out to you as soon as possible and will always offer you a free estimate for the work you need so you know what to expect regarding the work and the cost. If you have noticed problems developing with your air conditioner, the last thing you want to do is just let it go. Loud noises coming from the system or hot air blowing out when it should be cool can both be warning signs to you that something is wrong and needs to be addressed. Letting it go can just lead to larger, more expensive problems for you that you do not want to deal with at all. The best solution is for you to make a call to a trusted repair service to look at things and figure out what is wrong. Finding that service is the next critical step and knowing how to find the right repairman for air condition repair in Glendale will make life a lot better for you. Taking an aggressive approach and looking everywhere for referrals can give you the names of quality services to contact. Try asking your friends and neighbors, find out who they use for repair work at your office, check local social media pages that offer information about your community, or ask contractors or other repair personnel you know who they may know about. Making all these contacts and asking for names will give you a list to work with, and you may also find the same name turning up time and again, a good sign that the company offers the quality work you want for your home. Another component to look for in an air condition repair service in Glendale is to make sure the company is fully licensed, bonded and insured. Many contractors today may offer low prices for the work you need, but they may not be licensed by the state to do it. Hiring someone unlicensed or uninsured can put you at great risk if something goes wrong, leaving you high and dry and left with an AC system that is worse than before. Checking to see if a company has a license number and is bonded gives you peace of mind and protection. 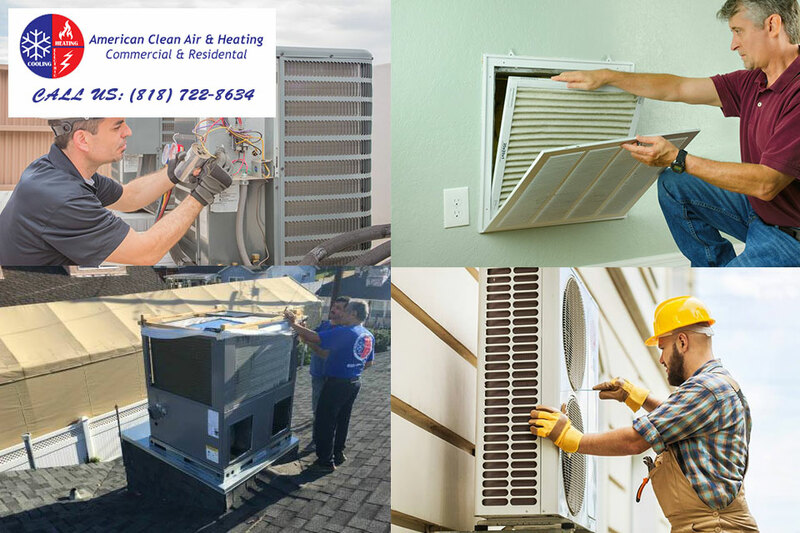 When you need a repairman to perform air condition repair in Glendale, the company for you to call is right here at American Clean Air and Heating. We are a fully licensed and bonded company in Southern California and have a stellar reputation among residential and commercial customers that you want working on your system. Just give us a call at 818-722-8634 to make an appointment with us, and one of our experienced and reliable technicians will come to you to solve your AC problems. Alternatively, you can send us a message using our online contact form if you want to get a free quotation or if you want us to get in touch with you. Just fill the form with your details and a member of our friendly staff will reply to you as soon as possible. Your heating and cooling unit is an essential part of your home when you live in California. The majority of people in the state can’t even think about living without something to keep them warm in winter and cool in summer, so when that essential machine breaks down, you need repairs quickly. To make sure that you get a good service from a reliable company, you need to pick carefully. 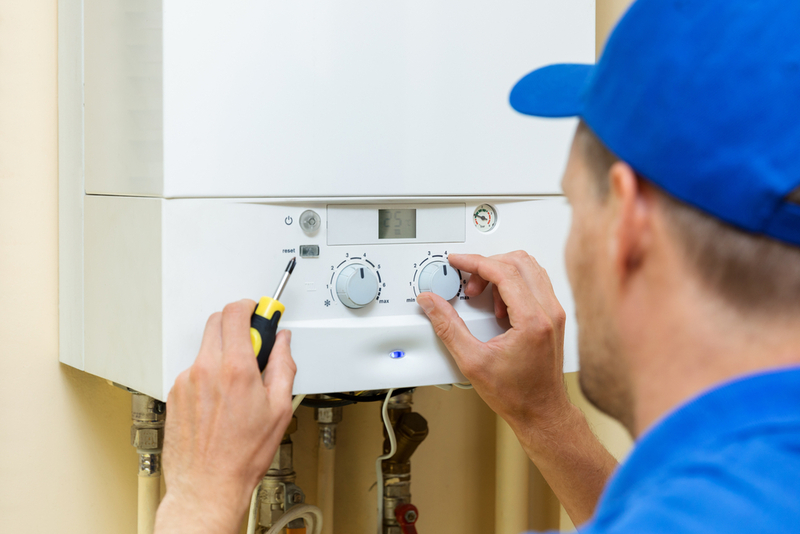 There are certain things that you can do to make sure that the heating repair service in Beverly Hills that you choose is the right one for your machine. In the past, when you needed a heating repair business, you would simply flip open the phone book, and find someone straight away. These days, most homeowners look online for services they need, but they can fall into the trap of thinking that this is exactly the same as looking for an ad in the book. Online, however, you often don’t need to pay for ads, and buying a website is cheaper than getting a printed advertisement. Most often, when you are looking online, you should search for a company with good testimonials and reviews away from their web page, and with customers who can be contacted for further questions. Cheaply set-up businesses that do everything for a low cost tend to have short life spans, and will also give you low-quality work if you choose them to do your repairs. Rather than looking for someone who is the least expensive, you should be searching for an established company. 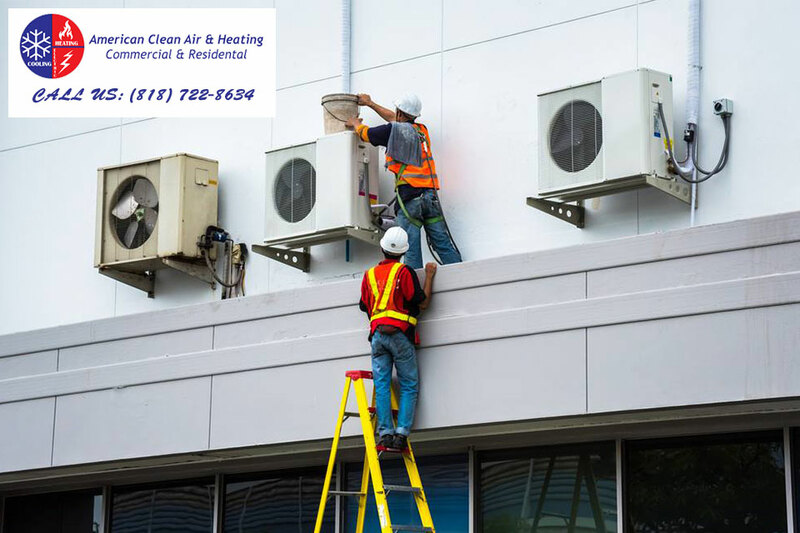 This would be a company with a good history of working in the area and suitable licenses as well as insurance to ensure that you are not taking a risk when you hire them to fix your heating and cooling units. You should have checked references while you were looking for companies online, but you should also ask businesses for free estimates of the work that needs to be done. When you contact a company like American Cool and Heat, you can ask them for a rough estimate. A written estimate will allow you to brace for the cost of heating repair services in Beverly Hills, and will ensure that they are pricing up the whole job, and not just low-balling in hope of getting the contract. To talk to a reliable company about their services today, call us at 818-406-6000 now. Want to make sure that you get the perfect air condition repair service for Rolling Hills, ensuring that the person or company you hire are able to do the job to a good standard? If so, then you need to do some work yourself on discovering who in the area is right for you, and what questions you need to ask in order to ensure that the people you hire are able to answer your needs. With a few hints and tips, you can make finding the perfect air conditioning repair business very easy. You can start your research into air conditioning repair and servicing by understanding what needs to be done in order to keep the AC unit functioning. 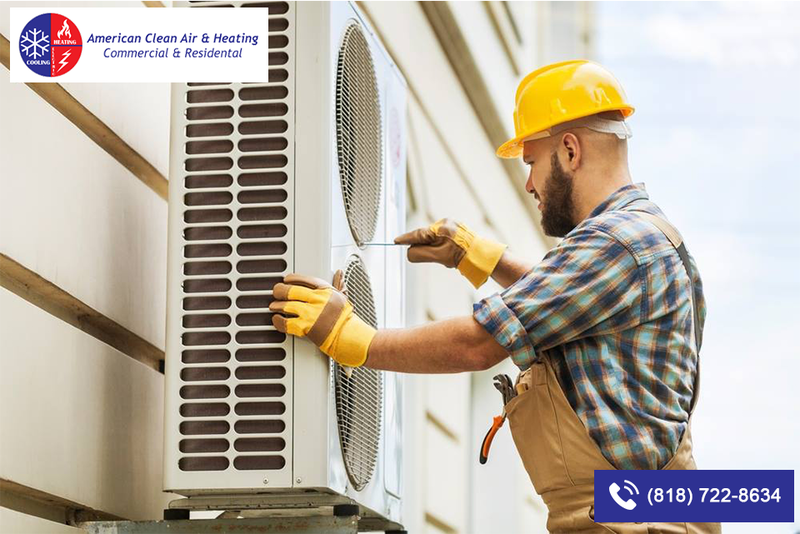 Most experts recommend that you have your air conditioner serviced every six months, specifically at the time when the unit is no longer being used to cool down an area or heat it up. The service team will clean out your air filters, lubricate the parts, and vacuum the unit thoroughly. If a repair needs to be done, such as a failure to cool or heat correctly, then the service team will probably check the refrigerant pressure and conduct of the tests. Being able to ask the team to perform a particular task may make it easier for you to ensure that the job is completed correctly. When you are searching for a repair team dealing with AC units and HVACs, you may benefit from asking their references particular questions. For example, you will want to know how well the AC unit worked under their care, how punctual they were to respond to emergencies or problems with your unit. You could also ask whether they conducted their operations in a tidy and competent manner. When you are taking the time to examine references for potential air condition repair businesses in Rolling Hills, you should always be checking their credentials. This includes ensuring that workers are licensed and have insurance policies in place to protect yourself, your home and themselves as they work on your property. Being properly covered is essential when you are hiring a repair team, and is something that we expect to be asked whenever our customers call, so contact American Cool and Heat at 818-406-6000 to have your questions answered today.